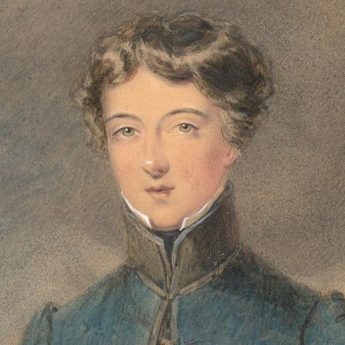 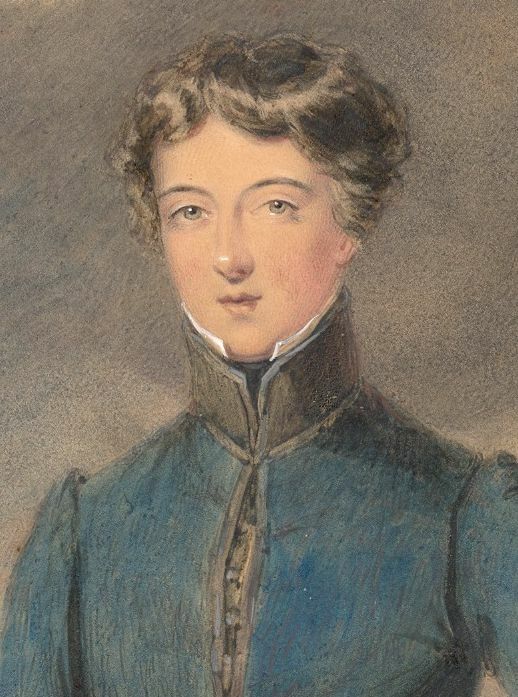 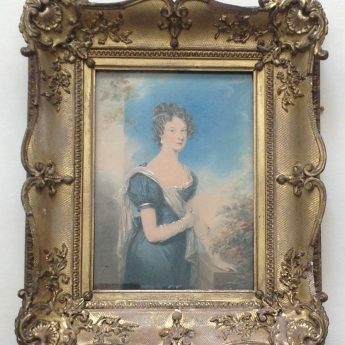 An attractive three-quarter-length pair of watercolour portraits of a young Regency couple most likely painted to mark either their betrothal or their marriage. 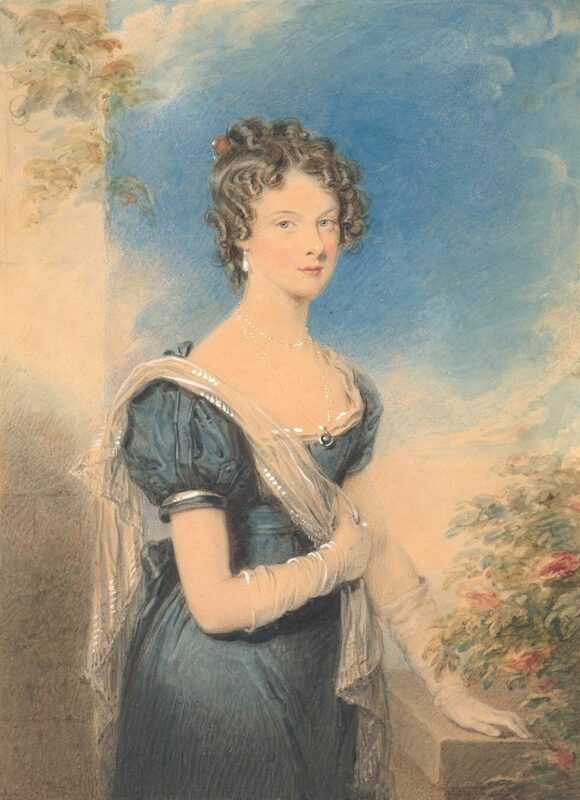 The lady is depicted standing on a terrace by a rose garden. 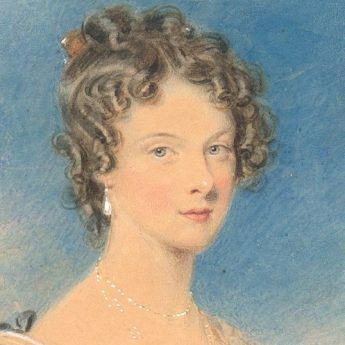 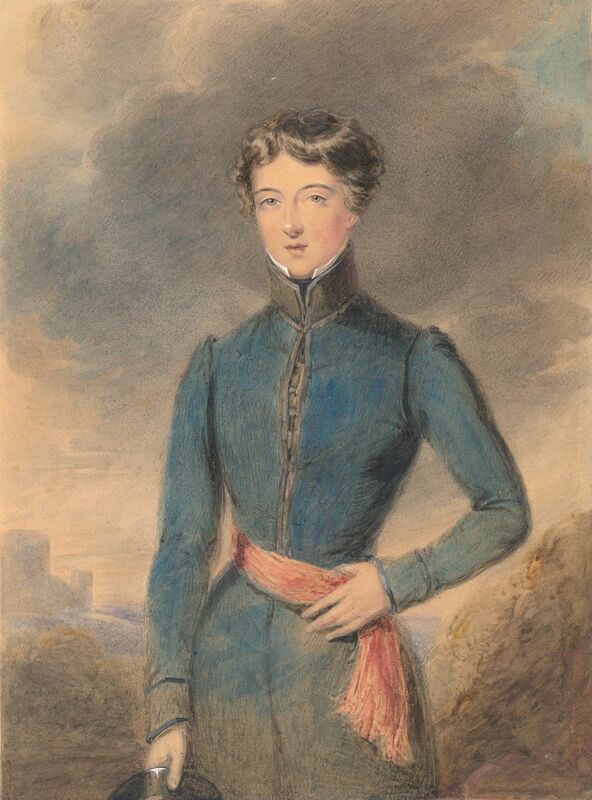 She is wearing an elegant blue evening dress trimmed with white lace and elbow-length silk gloves, a chiffon scarf over one shoulder. 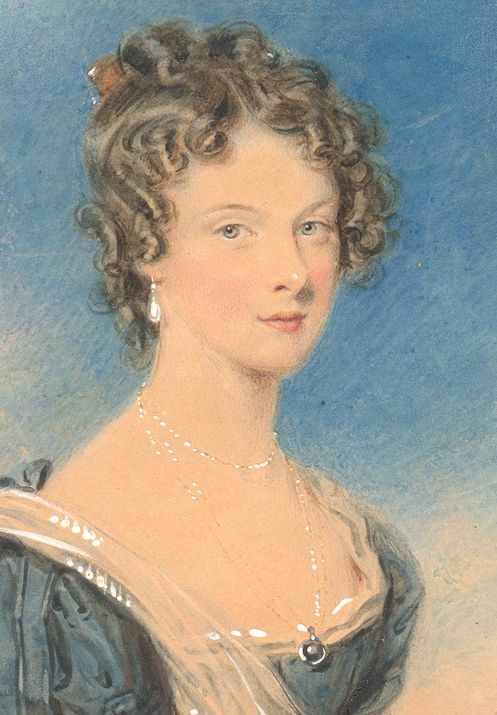 She has a pearl necklace and drop earrings and her hair is swept back with tight curls framing her face. 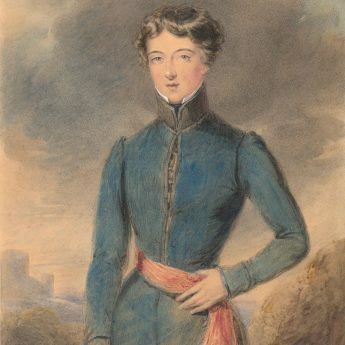 The gentleman stands in a wooded landscape with a castle on the horizon and is wearing a military tunic tied with a red fringed sash, the rim of his hat just visible in his hand. 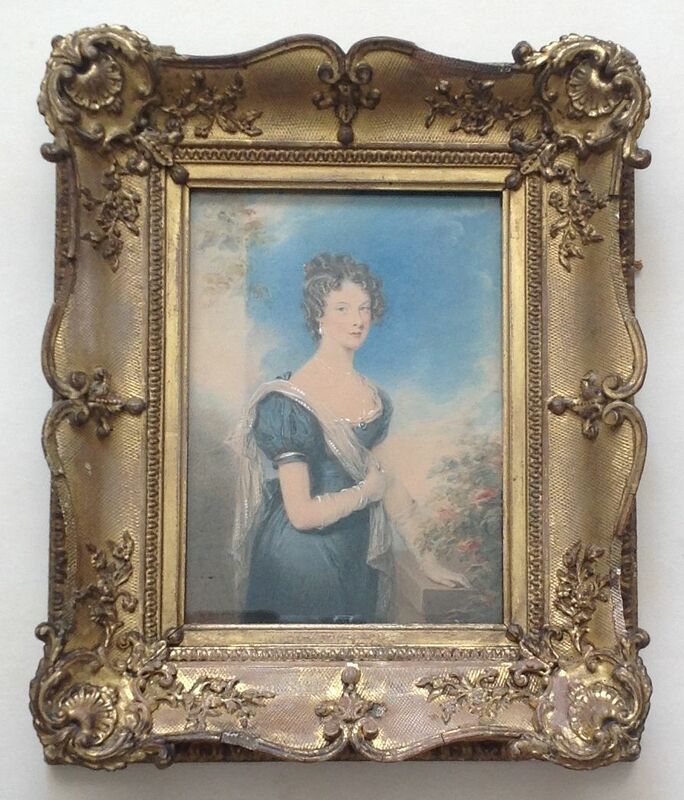 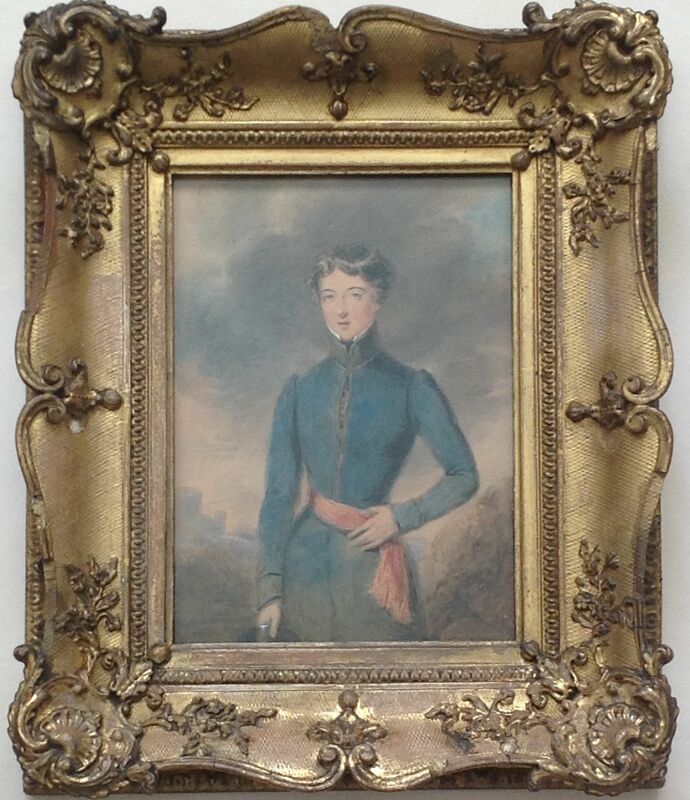 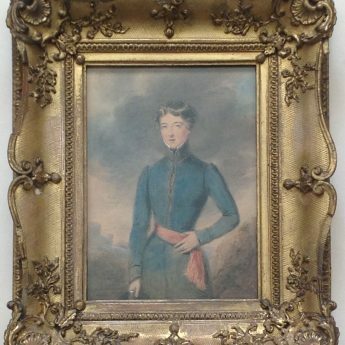 The portraits are in excellent condition and are set in ornate giltwood frames (small losses to the frame edges).